Live music for the annual New Albany Community Dinner was provided by Mike Carter, Nannette Ballard, Lee Ellen Nelson, and Larry Shaw. 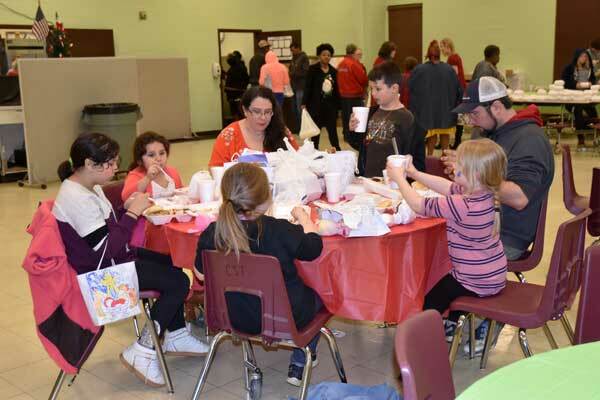 Although the weather was rainy and cold, an estimated 1,400 people enjoyed the Community Holiday Dinner, Saturday, Dec. 15, in New Albany. 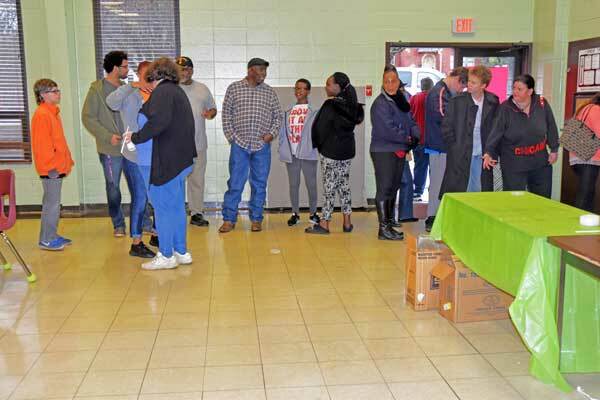 This was the seventh year for the Christmas season Community Dinner, at which free meals are served to all comers. The only qualification is walking in the door. As a matter of fact, carry-outs are provided for those unable to attend the event at the New Albany Middle School cafeteria. Over 1400 people came to enjoy this community dinner. The free meal is made possible by donations and grants. Jason Butler, one of the organizers of the event, said the two major contributors, which regularly make the annual event possible, are the Walmart Distribution Center and Stokes Grocery. 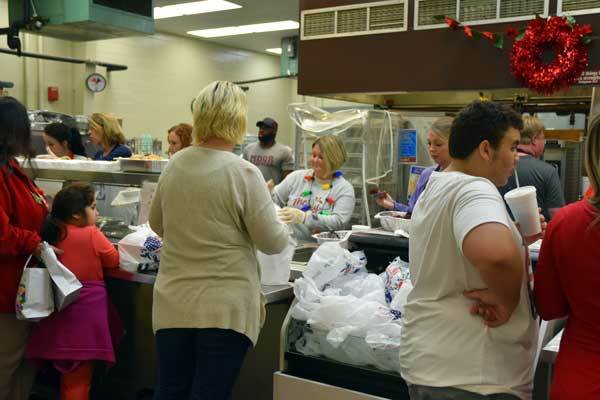 Dozens of volunteers, many, but not all, associated with the New Albany Public Schools, put in hundreds of hours of free labor gathering ingredients, preparing the meal and cleaning up afterwards. Many volunteer hours went into providing a holiday meal for the community. Live musical entertainment for this year’s Community Dinner was provided by Mike Carter, Nannette Ballard, Lee Ellen Nelson and Larry Shaw.